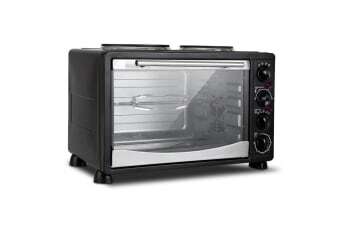 Here’s a convection oven that has everything you ever wanted in an oven and more. That’s because the 5-star Chef Convection Oven lets you boil, steam, fry, bake, grill, cook and roast from just one simple unit. Amazing is one simple word to describe it. 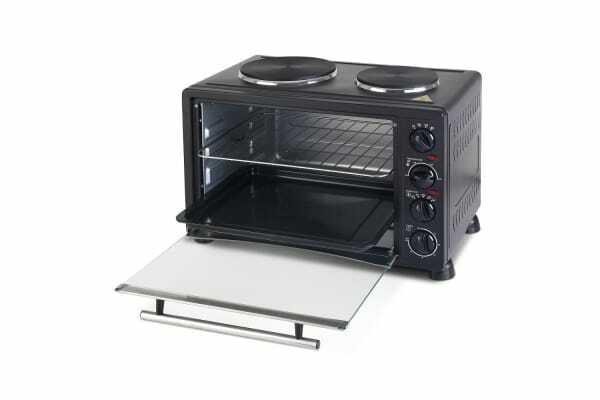 First up, the portable Oven comes with two hot plates on top. Great for boiling, steaming or even stir frying. Imagine a conventional oven trying to do that – it simply can’t be done. Open the stainless steel tempered glass door (which also doubles as a handy viewing window) and you have a generous 34-litre cooking space that lets you bake, roast and grill your favorite recipes to perfection. Assisted in no small way by the four heating elements that ensure top and bottom even heating for energy-efficient and thorough cooking. Operating the Oven is a breeze with easy-to-use dials for hot plates, heating element selection, and temperature and timer control. And with its wide cooking temperature range from 100degC to 250degC, the Oven is versatile enough to suit various cooking conditions. From baking your preferred breads to roasting sumptuous roasted pork belly to baking delicious pies and desserts. The Oven is also designed to ensure heat is dissipated effectively while the powerful built-in fan distributes hot air in the most efficient way possible. 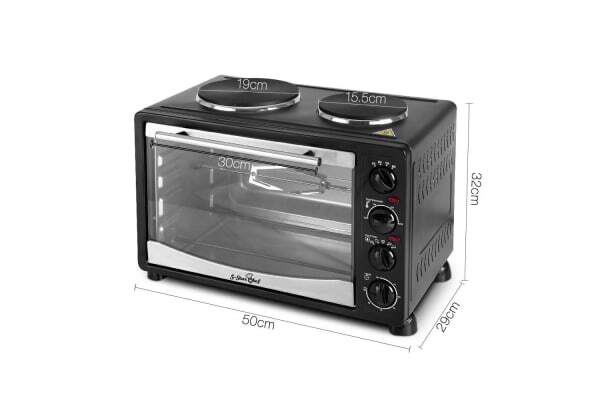 Not least, this wonderful, value-for-money Convection Oven also comes with bonus accessories such as a baking tray, wire rack, tray handle and rotisserie and rack for even more cooking options. Now, how can you not love this 5-star Chef Convection Oven to bits? Hungry already? Order yours today.